If you’re looking for an affordable smartphone to buy this holiday season and aren’t too keen on a Windows Phone, look no further than the Android One range. Android may be the most popular mobile phone operating system on the planet, but suffers from the problem of fragmentation. With the huge number of hardware and SoCs available on the market, there were no standards manufacturers adhered to, so it got difficult to update phones when new versions of the operating system came out. Carriers made matters worse, and this problem was more apparent in the budget and mid range segment, which actually makes up a bulk of the market. It’s fairly easy to upgrade the more powerful phones since there’s fewer SoC options, but at lower price points, there is far more hardware to deal with, which makes updates difficult. India is one of the biggest market for smartphones, and it would be folly to not tap into the budget segment where most of the sales happen, thus was born Android One. It’s basically a range of smartphones curated by Google, which standardizes specifications and uses only certain hardware for the best price to performance ratio. Since Google is aware of the exact hardware running under the hood, it’s offering priority updates just as it would to flagships, thus bridging the gap between premium and budget segments. It’s a fantastic initiative that would keep a huge number of buyers happy, because there’s no more asking “will my phone be updated?” So here’s the range of Android One smartphones in India you should be considering, starting from the very affordable price point of Rs. 6000! Probably the best looking of the Android One bunch, the Karbonn Sparkle V comes in blue, red and white, and features a minimalist yet good looking design. The build quality is solid, and there’s really nothing to complain about at this price. 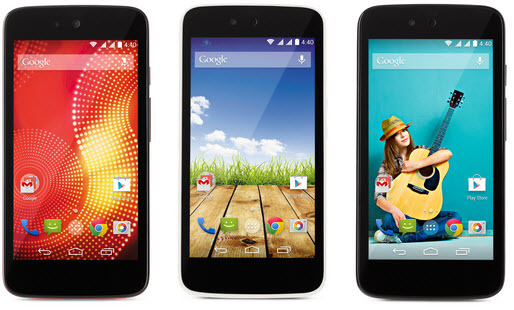 The speakers, however, stand out, and are better than the other Android One smartphones. That’s not to say they’re significantly better, but less tinny than others. And finally, there’s the price. 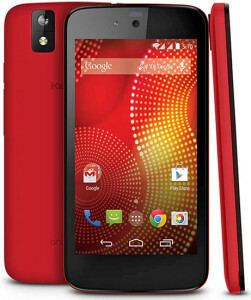 You can grab a red or white Karbonn Sparkle V for just Rs. 5999, which makes it the best value for money. 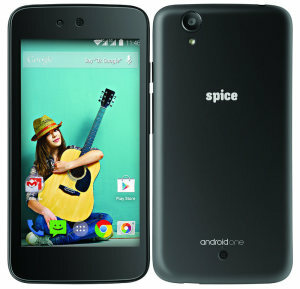 The first Android One smartphone to be launched and available widely, the Spice Dream UNO Mi-498 is the second one on our list. We think that it’s not the best looking of the bunch, but build quality is quite decent. Spice has a decent service network around India as well, so if anything happens to go wrong, you shouldn’t have too much trouble fixing it. The rubbery finish on the back may not appeal to many, but you can’t argue that it’s one of the most pleasant to hold among its Android One brethren. You can grab one for Rs. 6299. Then there’s the XOLO One, which looks and feels the most premium among the bunch. Featuring a faux leather back like the Samsung Galaxy Note 3, it feels the best in hand. It has one distinguishing feature though, unlike other phones which feature 4 GB internal storage, this features 8 GB. It’s not a huge difference, but should count for some brownie points nonetheless. 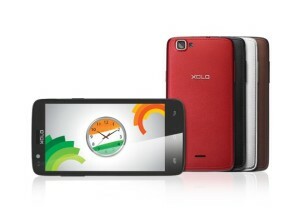 The XOLO One is available for Rs. 6350. Finally, there’s the Micromax Canvas A1, which should win over a lot of people because of the brand name and widespread service network. After all, it is the largest Indian mobile phone manufacturer. Looks and build wise we think that the A1 is more on the ‘good’ rather than ‘great’ side. Nonetheless, it’s neither significantly better nor worse on other counts compared to the others, so you won’t really go wrong buying one. It’s available for Rs. 6399. Bottom line? 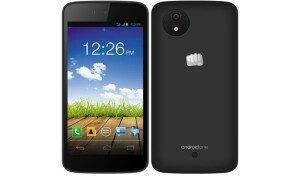 You get a fantastic smartphone for less than Rs. 6500 that will run the latest Android version and be supported for at least a year and a half. Whatever way you see it, that’s a fantastic deal. Considering the fact that a majority of smartphones bought in India are from this segment, the holiday season going on and Android 5.0 Lollipop set to release by the end of the month, this is a great time to buy a new smartphone from the Android One range!